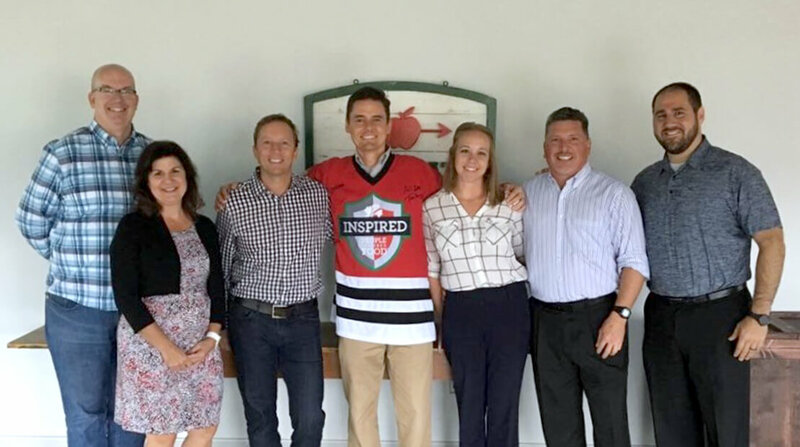 In the midst of the season of giving, Blake Flores’ opinion on the subject even extends to the hockey-style sweater he recently received, the trophy of the company’s Pride of the Jersey campaign. 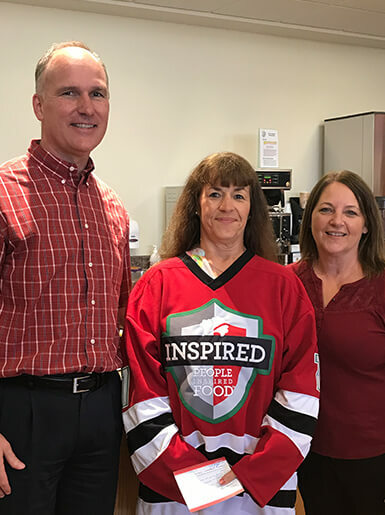 Blake is manager of foodservice for Applegate, a new position focused on one of the latest companies to join Hormel Foods. 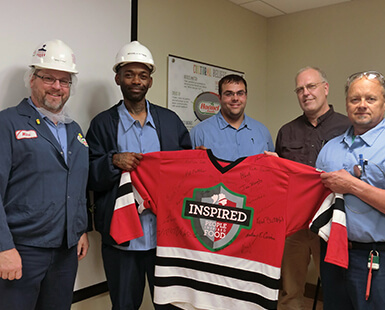 He was awarded the company jersey while at a meeting with people from Princeton University. 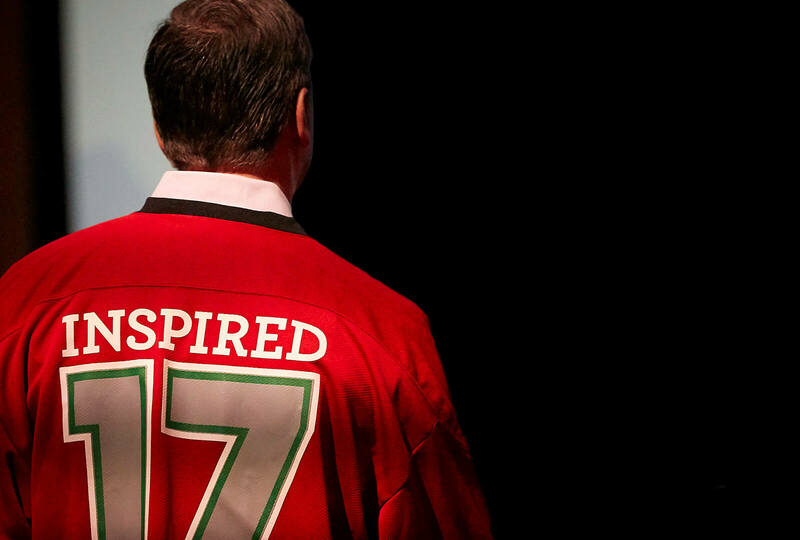 National Sales Manager Greg Hetfield had the honor of giving Blake the jersey. Indeed, Blake has a history of keeping his eye on the prize. He was attracted to the company while finishing up his college courses. “I’ve always been interested in food and agriculture. Hormel Foods was a natural fit,” he says. So, Blake inquired about positions and interviewed by phone, but he wasn’t hired. He wanted to be part of Hormel Foods enough to keep trying until he got an in-person interview. That made the difference. Blake was offered the first of at least nine positions he’s now had with the company. Thirteen years later, he knows he was drawn to Hormel Foods for a reason. “People make this a place you don’t want to leave,” he says. Blake is one of the smartest and hardest-working individuals in the business. Kaela Bemis is one of those people. She is Blake’s wife and a member of the legal department of Hormel Foods. She is also the mother of their two children, a 3-year-old daughter and newborn son. When Blake and Kaela aren’t at work, they’re together with their kids, traveling or going to a park near their home in Austin, Minnesota. “We do a lot outside,” Blake says. Blake’s job is another source of fulfillment. 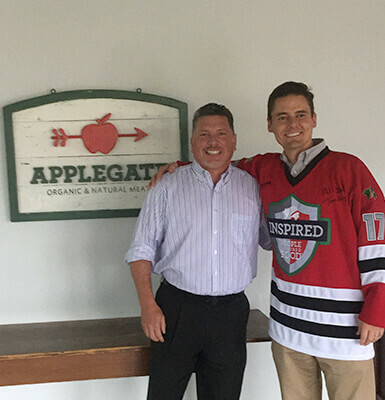 Bringing the line of Applegate® products into the company’s foodservice division is a tall order and one that makes him “excited to get up every day and come to work.” But there’s more.